SKIT! 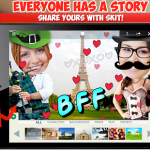 is the fun way to create and share animated messages with friends, family and the community. 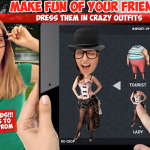 Easily make fun animated videos from your vibrant photos, and decorate with crazy outfits, stickers, filters, and more! Better than gif, you can animate and share stories and memes with the community. 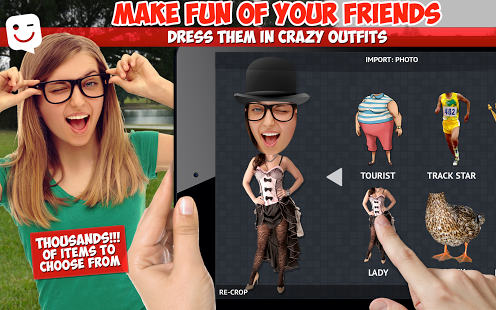 – Dress friends up in fun outfits like a meme, and animate to add motion. 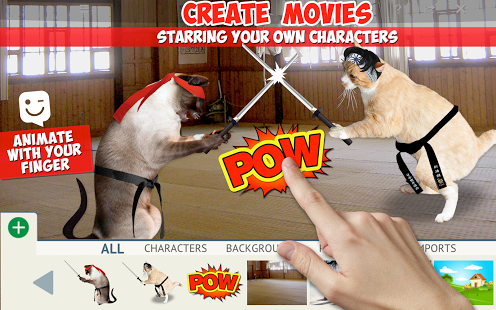 – Animate easily with your finger and use your voice to for the storytelling. 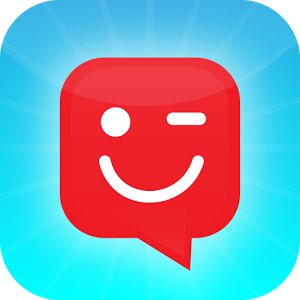 – Or remix someone else’s Skit clips – make memes and share videos: better than gifs! – Add custom text with great fonts and unlimited vibrant colors. – Or, make a drawing in the draw tool using our new brush collection- draw on pictures too. 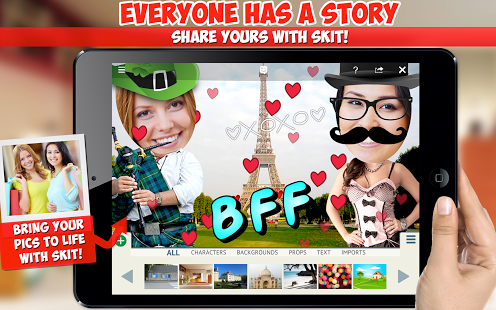 – Share your Skit Video clips via text (SMS), Facebook, Twitter, E-Mail, and with the community. 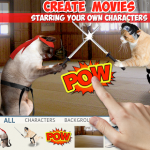 – You can create and share as many clips and memes and animations as much as you want — it’s all Free! Storytelling with our vibrant community is easy, fast and fun. Come Join the creative community — follow, like, comment, and even REMIX other people’s Skits. SKIT! let’s everyone be creative and do scrapbook meme storytelling together.